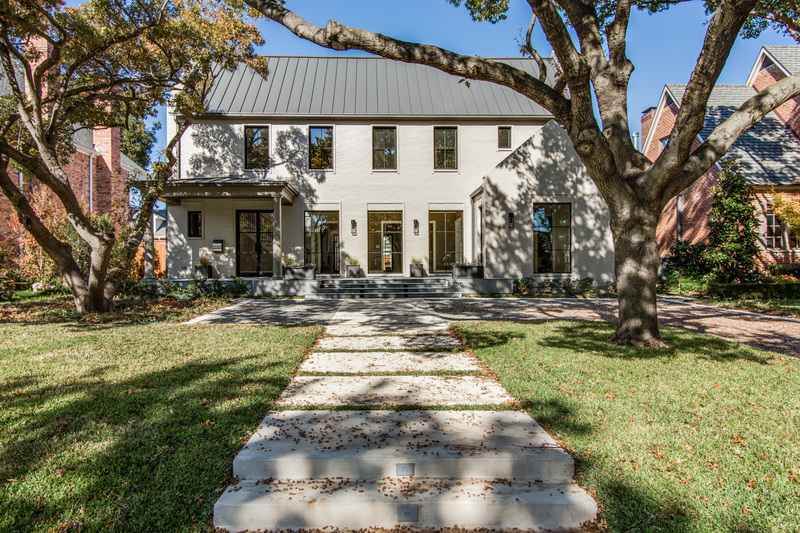 Recently completed in 2015 by builder Holland Rogers Company and situated in prestigious University Park, this stunning clean lined designed transitional residence is nestled on a gorgeous 70′ x 170′ lot with fabulous drive-up appeal. Details include an open floor plan with an abundance of light, spacious entertaining rooms, gleaming white oak hardwoods, wrought iron detailing, designer lighting treatments and gorgeous marble, limestone and quartz finishes throughout. The fabulous two-story home offers 5,642 square feet, five bedrooms, 5.2 baths, elegant formal rooms, oversized great room, upstairs den, game room, professional chef’s island kitchen with premier Thermador stainless steel appliances, downstairs master suite with a fireplace and a gorgeous marble bath, four additional spacious bedrooms, including two on the first floor, utility room, front and rear terraces, huge verdant backyard with room for a pool and a two-car garage.